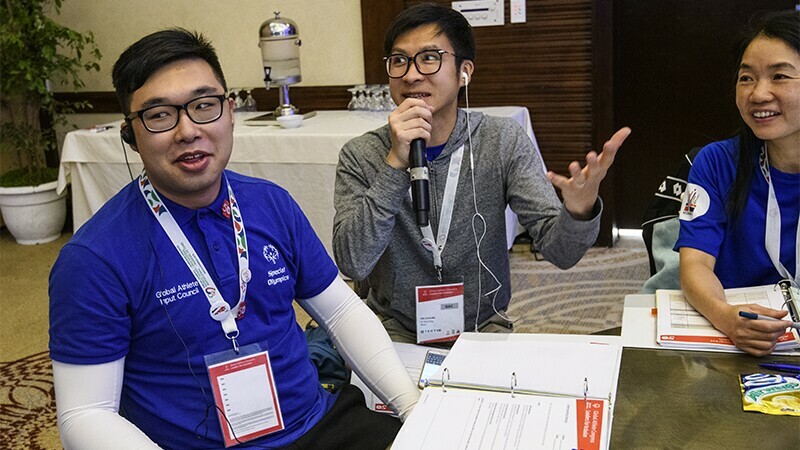 The Special Olympics' Global Athletes Congress is serving as a platform where Special Olympics athletes lead the way to a more inclusive world. 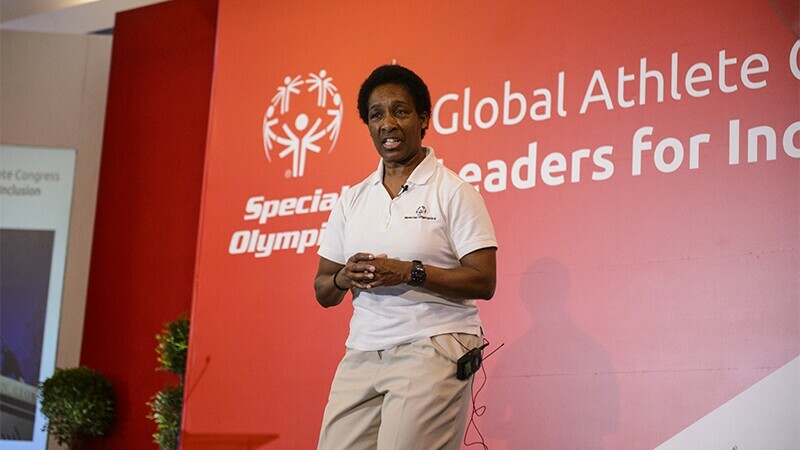 Leading athletes representing all over the world will share ideas and develop leadership skills in order to reach their full potential through leadership roles in Special Olympics, their communities and their workplace. 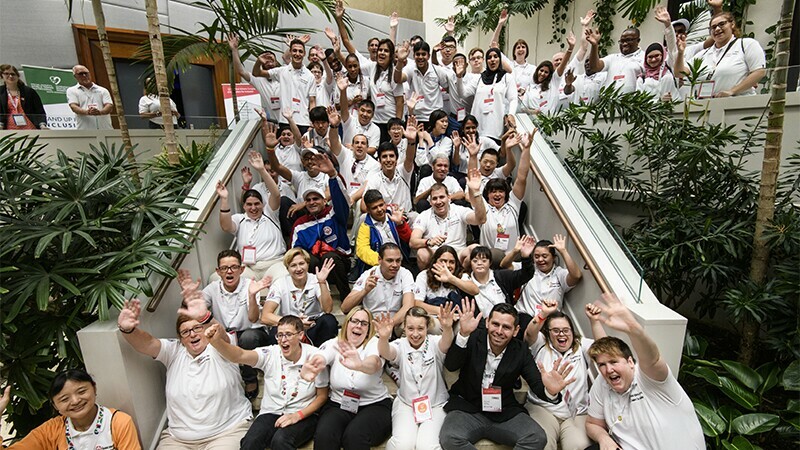 The objective of the Global Congress of athletes is to create inclusive communities, with the Dominican Republic leading the way, committed to the inclusion of people with intellectual disabilities in all aspects of society. 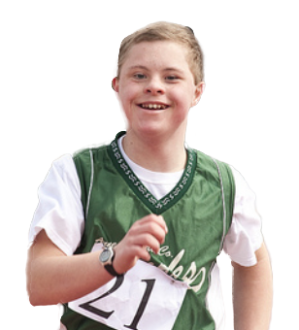 The official slogan Stand Up for Inclusion reflects the commitment of the citizenship to create an inclusive society, guaranteeing respect for the rights of people with intellectual disabilities. Global Ambassadors and youth leaders gather for a group photo in the Dominican Republic. Female leaders from around the globe engage in conversation during the Global Athletes Congress workshop. 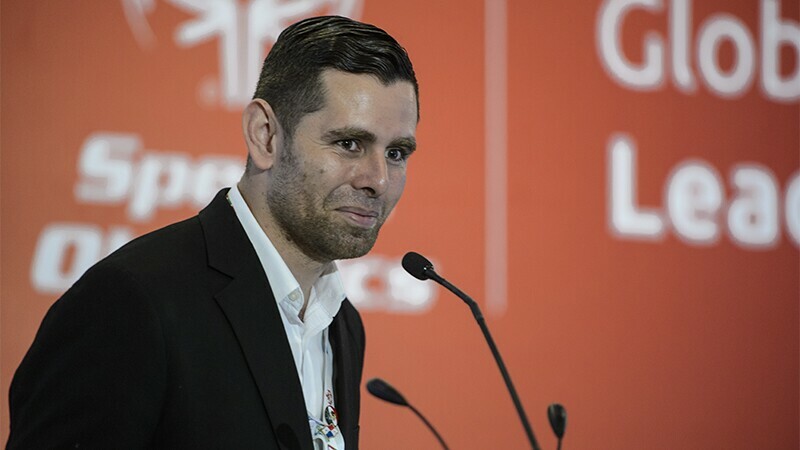 Julio Barrera, President of the Athlete Leaders Regional Council of Latin America delivers a speech during the opening ceremony. Vice Chair, Board of Directors, Loretta Claiborne speaks on leadership and standing up for inclusion during the opening ceremony. 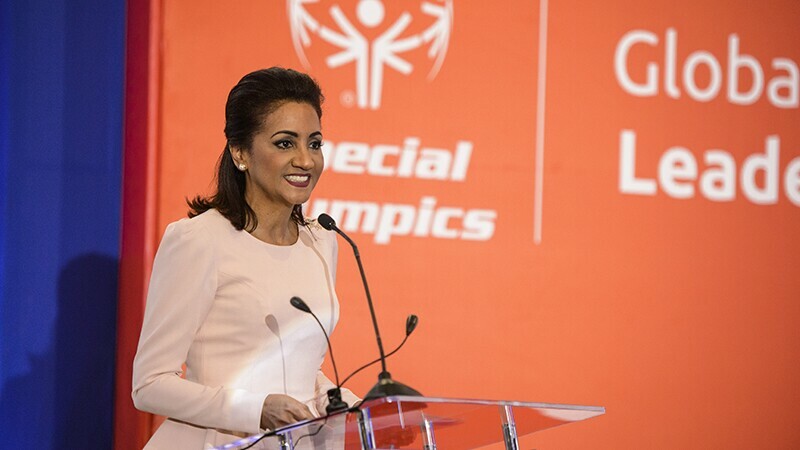 First Lady of the Dominican Republic, Cándida Montilla de Medina speaks on partnering with the Special Olympics for the Global Athletes Congress. 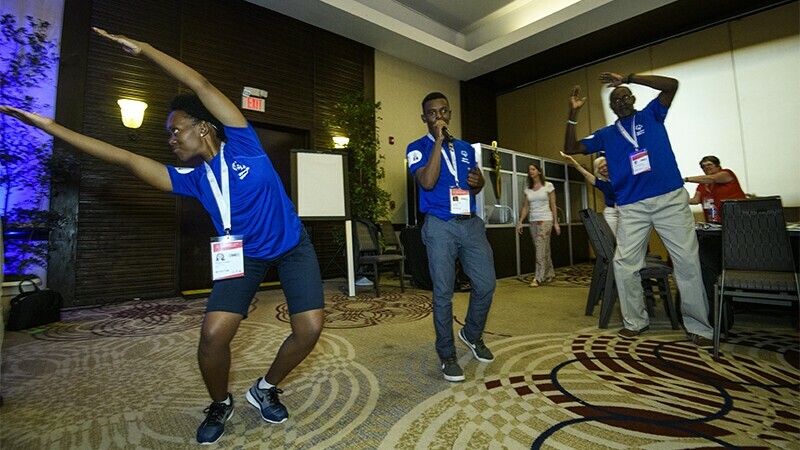 International Global Messenger, Brightfield Shadi leads a dance party to loosen up the Global Athletes Congress attendees. 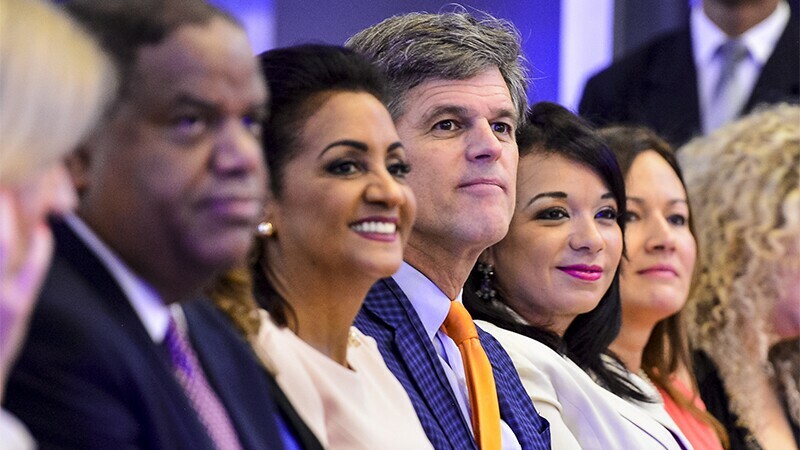 Special Olympics Chairman, Tim Shriver and First Lady of the Dominican Republic, Cándida Montilla de Medina take in the sights from the opening ceremony. 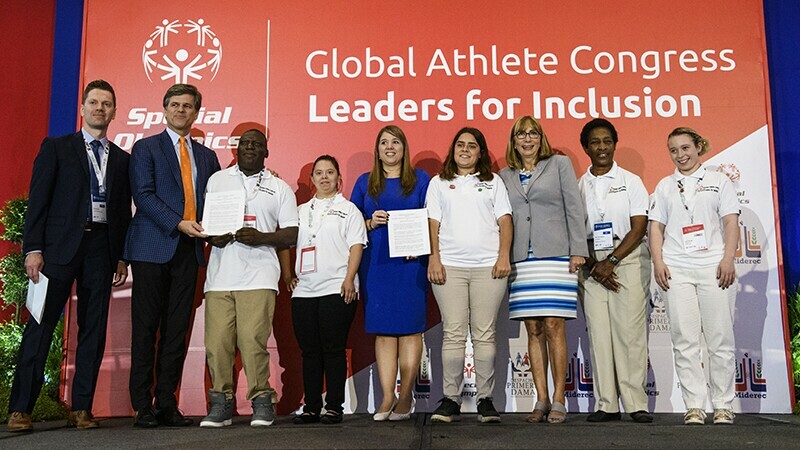 Special Olympics Chairman, Tim Shriver stands with leaders from the Global Athletes Congress. 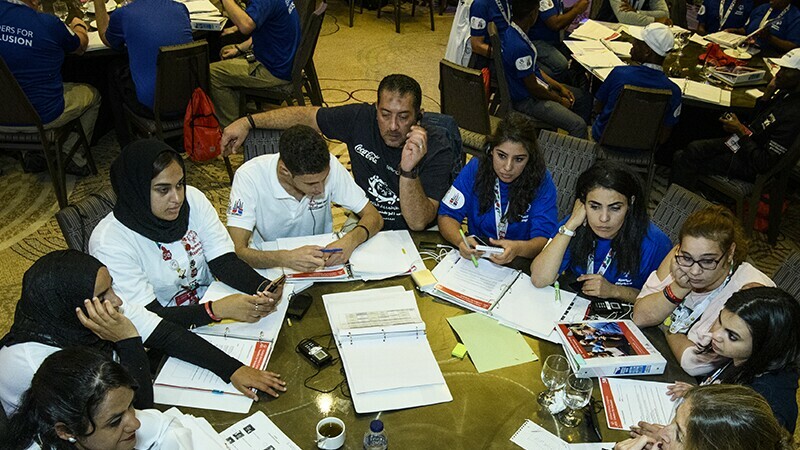 Attendees from SO Hong Kong participating in an activity during the Global Athletes Congress workshop.